There is a range of fly screening products to solve and prevent flying insect problems. Screens are individually tailored for any size window or door entrance and are suitably robust for use in commercial and industrial premises. Fly screening can also be used in the domestic home. 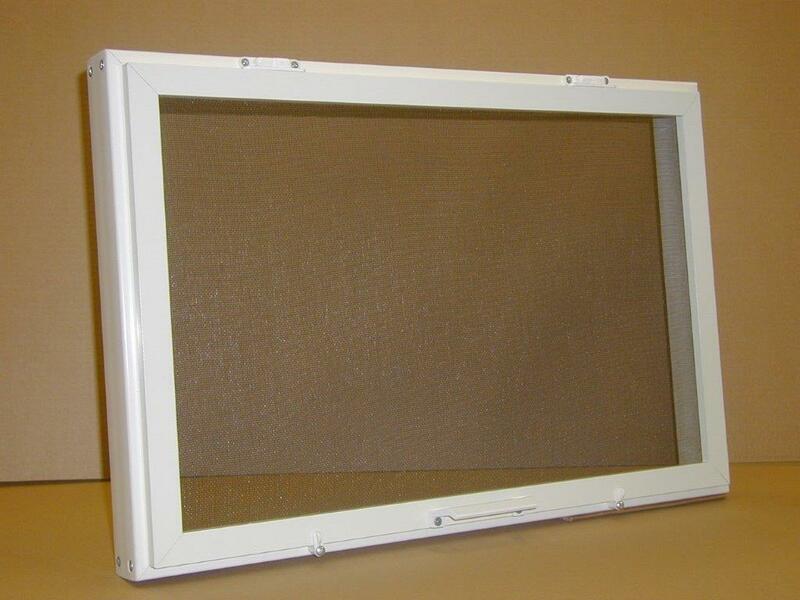 An aluminium frame, covered with PVC coated fibreglass mesh which is fire retardant. The mesh is kept taut and secure with a pliable rubber gasket design and the screens are kept in place by retaining clips which can be easily removed for cleaning. Comprising of two or three polyester coated aluminium fly screens, each screen moves independently in the sliding channel of the framework allowing easy access to windows. An aluminium box screen design, suitable for louvre windows, made to measure to ensure the window can still open with the screen in place. A centre pivot window screened in two sections, one internal and one external; the window is sealed by a 45 degree angled fly proof brush-strip. 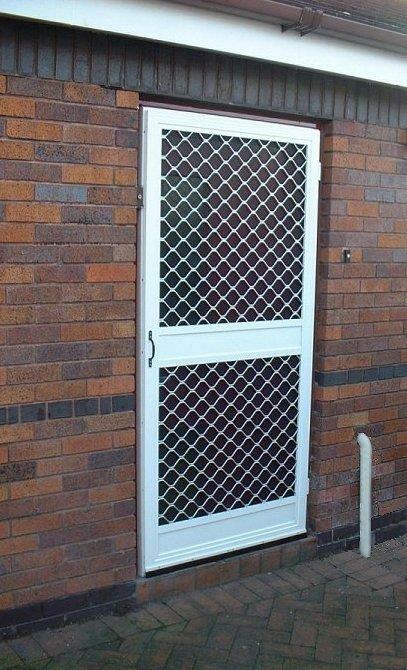 A heavy duty, aluminium framed door in brown or white finish. The PVC coated fibreglass mesh, together with the aluminium amplimesh gives strength and protection. Push kick plates fitted to the middle and base of the door add to its durability. 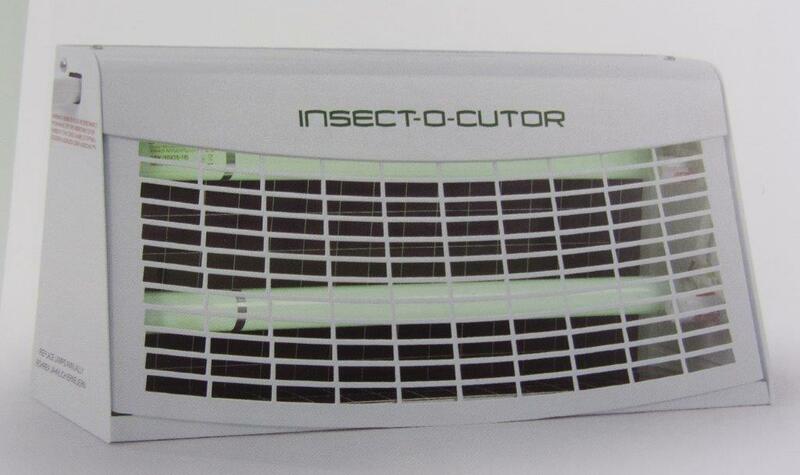 The Insect-o-cutor range of fly killer unit is our preferred option for use in the commercial sector but we can offer different makes and sizes as required. The Insect-o-cutor IND35 glueboard unit has shatterproof tubes as standard and is designed for commercial factories, warehouses and kitchens. Complete with a large capacity glueboard offering long life adhesion, it is suitable for wall mounting or free standing and is easy to install. The unit uses 2x TGX UV shatterproof tubes and 1x glueboard and provides room coverage of 80m2. It is made of metal construction with a white coated steel finish and weighs 5.0 KG. The Insectocutor SE22 if a high performance electronic unit and ideal for industrial food preparation areas. The deep catch tray ensures that insects are easily contained within the unit. All metal construction with white finish, the unit is strong and durable and can be wall or ceiling mounted and weighs 5.6 KG. The unit uses 1x TGX UV tube and provides room coverage of 80m2. To maintain efficiency and to ensure that all units are working at fullest capacity we recommend the tubes are replaced annually and the glueboards replaced quarterly. Call St George’s Pest Control in Essex for your fly control products and consumables. Chain link screens provide an effective barrier against flying insects. They can be used both in the commercial industry and the domestic home. 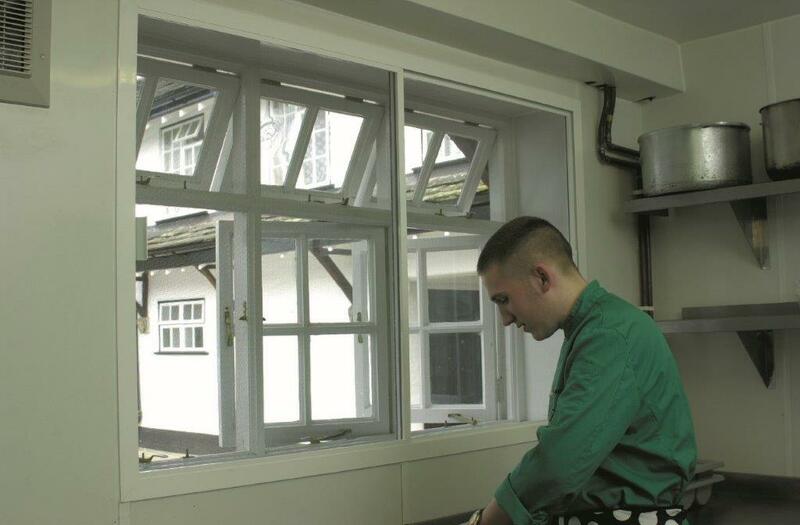 The screens are made of aluminium giving a clean, bright finish and no-rust durability, they can be very effective in situations where rigid screen doors cannot be used ie fire doors. 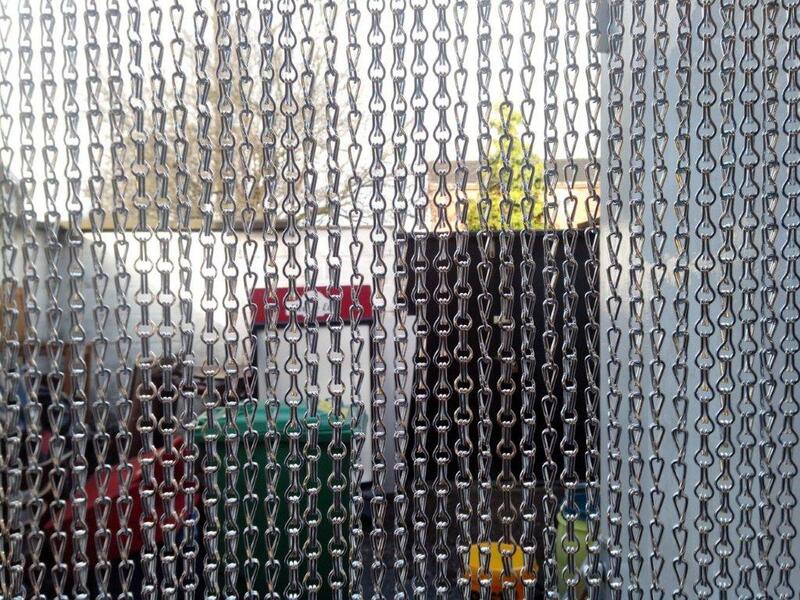 Whether used in commercial premises or for home use, the chain link screens are designed for easy access and durability. Choose from 13 different colours or try a combination of colours, we will measure and install chain screens on request for local areas. For all other areas we can supply the chain screen from measurements specified by the customer.